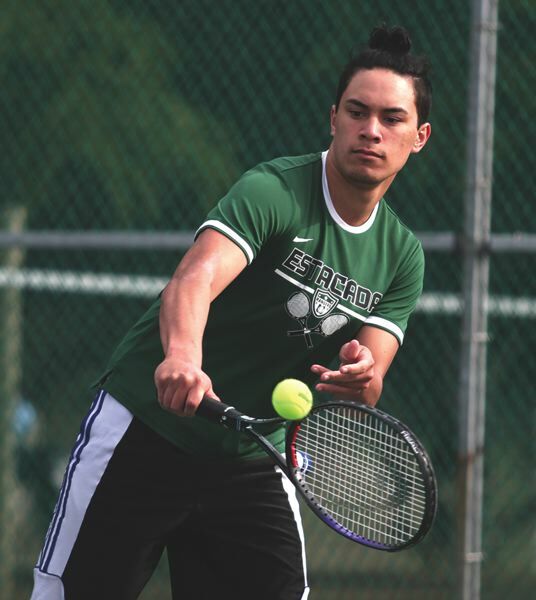 The Estacada boys tennis team split a team dual in a rematch with Woodburn last week. The Rangers swept the doubles ladder with Carson Eaton and Tai Shibahara winning 6-1, 6-1 out of the No. 1 spot, while James Settje and Bryan Reyes won the closest tag-team match 6-4, 6-1 at the No. 4 spot. Also picking up straight-set wins were the teams of Jon Juker and Raymond Garcia, along with James Rich and Grant Wagner. Woodburn swept the four singles matches, all in straight sets, sending the team dual to the games-won tiebreaker where the Bulldogs held a 61-57 edge. Estacada finished the week by competing at the seven-team Madras Invitational, although the Rangers were without their top two singles players for the weekend. Jon Juker and Raymond Garcia finished third in the No. 2 doubles tournament, while Tia Shibahara and Carson Eaton were fifth in the No. 1 doubles bracket. Bryan Reyes finished seventh in No. 2 singles. Sisters won the tournament with 102 team points, winning the No. 2 singles and No. 2 doubles brackets.